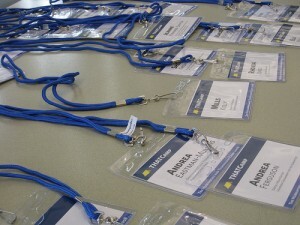 Registration for THATCamp SoCal 2012 is now open! Photo courtesy of Flickr user finnarne. We are pleased to announce that registration for THATCamp SoCal 2012 is now open! This year’s THATCamp SoCal is hosted by California State University, Fullerton in beautiful sunny Orange County, California. Camp dates are Friday and Saturday, September 14 and 15, 2012. Hands-on workshops (preregistration required) will take place on Friday. Unconference sessions (open to all Campers) will take place on Saturday, with topics crowdsourced first thing Saturday morning. As we secure workshop topics, instructors, and times, we will open those workshops up for Camper preregistration. Be sure to follow our blog, and/or our Twitter feed for ongoing updates. Not familiar with THATCamp?…Check out our About page. Got a particular workshop or session idea in mind? Submit a Proposal!